The Book is Ready to Order!!! The message within this book is an urgent one. Help make this book a best seller and changes lives in the process! YES! It is official today. 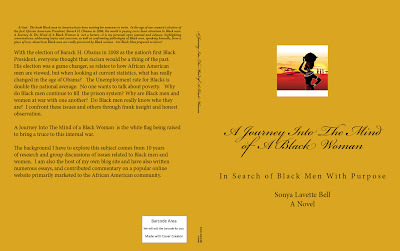 A Journey Into The Mind of a Black Woman is Published! *Once the proof is approved--after I review it, then it will be available for distribution. Come help me celebrate the release of my first novel, A Journey Into The Mind of a Black Woman on facebook on October 27, 2011. Just drop by and enjoy the atmosphere...post videos, chit chat, pretend your at a virtual bar...and kickback. Of course, information where to purchase the book will be posted as well. Come support your girl, and help make this book a Best Seller. J. Edgar Hoover Was really BLACK! During the course of writing my book, while doing some research on Huey P. Newton, the late founder of the Black Panthers, I discovered coincidentally, that the late FBI Director, J. Edgar Hoover was really a mulatto whose family had passed for white. Click on the title for story link. This was news that surprised even me, given his well known pathological hatred of Blacks. I guess now it makes sense: Blacks reminded him of the one thing that he hated most: HIMSELF. Hoover was one of the most virulent racists to ever hold a top government position. Hoover was known for targeting Black nationalists, civil rights activists, newspaper publishers and entertainers. Cointelpro was a counterintelligence program specifically designed to dismantle, disrupt and destroy all Black nationalist groups. Its purpose solely was to prevent a coalition of various groups as well as to keep Black people from being organized as a political force. The Black Panthers were infiltrated by Cointelpro agents which subsequently led to their destruction. 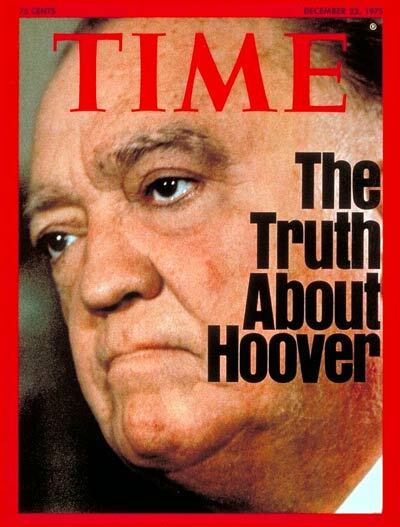 J. Edgar Hoover was one of the most powerful men that ever held a position in Washington and I find it quite sickening that if this information is true; his self-negation, literally was such; he was trying to destroy his own people. This is why I am impassioned to confront racism and the subliminal actions, as well as those that are overt, in the mission of trying to destroy Black people. Racism is not a myth. This information must be exposed for the world. Everything you think you know...is not always THE TRUTH. For those who have been following the blog from the beginning, you know that I have been writing a book. Well, that book was completed and is soon to be released before the end of the month. From the first moment I laid eyes on Black men, I was held captive by their strength, grace, and the depth within their souls. I was hooked, mesmerized--caught up in their rapture. Something had a hold of me and wouldn't turn me loose. They reminded me of everything I craved: chocolate, caramel, toffee and fudge cake. I liked the way they talked, walked and looked. Every time I looked at a Brutha, I'd be reminded of the lions of Africa: Proud, strong, fearless. That was my image of Black males. The Black Man in America has always inspired powerful feelings of those whom he has encountered, but sometimes, at a price. One day I woke up and literally realized that The American Black male is a brand which was largely created through the machination and minds of racist white males. Through the construct of media, the Black man has always been portrayed as the enemy--a predator to be feared. It would seem that many Black males have believed this about themselves. Statistically, it would appear that they are worse off now than they were 40 years ago. It has put them at war with the one ally they need: The Black Woman. Some Black women don't trust them...and many Black children don't know their fathers. Do Black men know who they are? Do they know how much they mean to Black women? To their mothers, sisters, aunts, grandmothers? There is a battle being waged against the Black male in America. But is the real war against the Black man within? Sometimes, one must travel backwards in order to discover their identity. In 2008, the traditional image of Black men was nullified through the election of the first African American President, Barack Hussein Obama. It became the game-changer. Or was it? A Journey Into The Mind of A Black Woman takes the reader on a fantastic voyage through the consciousness of a Black woman in search of Black men who have real purpose. From Africa--The beginning. Where Black pharaohs looked up at the stars and dreamed of pyramids, to a Harlem book store where a successful young District Attorney discovers his soul. A Journey Into The Mind of a Black Woman is a hip, intriguing page turner that engages the reader with frank, oftentimes, painful and unapologetic observations regarding real issues impacting the lives of Black males in this millennium, yet it is not demeaning. Every Black male in America is impacted by racism, directly and indirectly; but how has this impacted them psychologically, spiritually and emotionally? I wondered to myself if Black men really know how much they are valued? This is my personal journal of conversations, debates and insights on issues that I have observed over many years, and my perceptions of them as a Black woman, discussing frankly, my interpretation of relevant issues that impact Black men, socially, politically and psychologically. A Journey Into The Mind of A Black Woman is my rebuttal as a Black woman to those who have devalued the Black male and underestimated his intelligence, strength, and ingenuity. A Journey Into The Mind of a Black Woman is the book that finally spoke the words, with absolute clarity and truth, that Black men and women have waited to hear about each other. I didn't know anything about writing books, but I've always been a writer and thinker--as young as 5 years old. My first writing adventure began in my first grade class. During one recess period, I decided to write a story on the board. My teacher was so enthralled with what I had done, she read my story to the class. This became the catalyst for the genesis of this book. I'd go on to win essay contests in high school and actually have a poem published in 1989. But soon thereafter, life got in the way and I never once thought about writing a book until that day in 2003. I finished what I started out to do. Herman Cain: Could This Man Be The Next President? Who would have thought...just 2 months ago, when the Republican candidates for the 2012 Presidential election began their journey of endless campaigning, the only thing anyone knew about Herman Cain was that he was the former CEO of Godfather's Pizza. The lone Black candidate in a sea a white faces who by virtue of White Privilege; those in the media already chose Sarah Bachman and Mitt Romney for the 2 top contenders. But a funny little thing happened: Herman Cain won the Florida straw poll in September after Rick Perry bombed in the Republican debate held a couple of days before that was widely panned. Is Murphy's Law giving Mr. Cain an early Christmas gift? But just who is Herman Cain? So...is it is possible? Could he do it? According to some in the Republican Party: Yes We Cain!